As discussed in our July 18, 2013 post, INPO's position is that creating and maintaining a healthy safety culture (SC) is a primary leadership responsibility. * That seems like a common sense belief but is it based on any social science? What is the connection between leader behavior and culture? 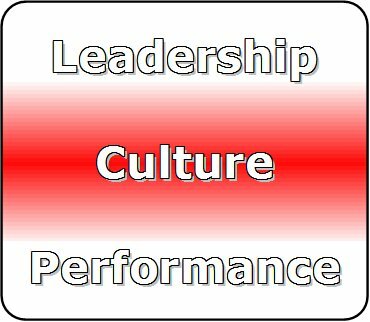 And what is the connection between culture and organizational performance? Leaders can be described by different personality types. Note this does not focus on specific behavior, e.g., how they make decisions, but the attributes of each personality type certainly imply the kinds of behavior that can reasonably be expected. The authors contend “. . . the myriad of potential personality and value constructs can be reliably captured by five essential personality constructs, the so-called Big Five or the Five Factor Model . . .” (p. 6) You have all been exposed to the Big 5, or a similar, taxonomy. An individual may exhibit attributes from more than one type but can be ultimately be classified as primarily representative of one specific type. The five types are listed below, with a few selected attributes for each. To support their research model, the authors describe a framework, similar to the Big 5 for personality, for summarizing organizational cultures. The Organizational Culture Profile (OCP) features seven types of culture, listed below with a few selected attributes for each. As mentioned in the introduction, this paper is not a great fit with the nuclear industry. The authors' research focuses on high technologically companies, there is nothing SC-specific and their financial performance metrics (more important to firms in highly competitive industries) are more robust than their non-financial measures. Safety performance is not mentioned. But their framework stimulates us to ask important questions. For example, based on the research results, what type of CNO would you select for a plant with safety performance problems? How about one facing significant economic challenges? Or one where things are running smoothly? Based on the OCP, what types of culture would be most supportive of a strong SC? Would any types be inconsistent with a strong SC? 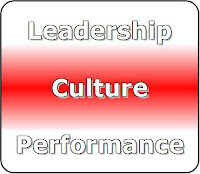 How would you categorize your organization's culture? The authors suggest that “Senior leaders may want to consider developing the behaviors that cultivate the most useful culture for their firm, even if these behaviors do not come naturally to them.” (p. 35) Is that desirable or practical for your CNO? The biggest challenge to obtaining generalizable results, which the authors recognize, is that so many driving factors are situation-specific, i.e., dependent on a firm's industry, competitive position and relative performance. They also recognize a possible weakness in linear causality, i.e., the leadership → culture → performance logic may not be one-way. In our systems view, we'd say there are likely feedback loops, two-way influence flows and additional relevant variables in the overall model of the organization. The linear (Newtonian) viewpoint promoted by INPO suggests that culture is mostly (solely?) created by senior executives. If only it were that easy. Such a view “runs counter to the idea that culture is a social construct created by many individuals and their behavioral patterns.” (p. 10) We believe culture, including SC, is an emergent organizational property created by the integration of top-down activities with organizational history, long-serving employees, and strongly held beliefs and values, including the organization's “real” priorities. In other words, SC is a result of the functioning over time of the socio-technical system. In our view, a CNO can heavily influence, but not unilaterally define, organizational culture including SC. * As another example of INPO's position, a recent presentation by an INPO staffer ends with an Ed Schein quote: “...the only thing of real importance that leaders do is to create and manage culture...” The quote is from Schein's Organizational Culture and Leadership (San Francisco, CA: Jossey-Bass, 1985), p. 2. The presentation was A. Daniels, “How to Continuously Improve Cultural Traits for the Management of Safety,” IAEA International Experts’ Meeting on Human and Organizational Factors in Nuclear Safety in the Light of the Accident at the Fukushima Daiichi Nuclear Power Plant, Vienna May 21-24, 2013. ** C. O’Reilly, D. Caldwell, J. Chatman and B. Doerr, “The Promise and Problems of Organizational Culture: CEO Personality, Culture, and Firm Performance” Working paper (2012). Retrieved July 22, 2013. To enhance readability, in-line citations have been removed from quotes. For those who believe that definition and elaboration of "traits" provide the royal road to achievement of Positive Nuclear Safety Culture (and its presumed benefits) this paper should be a bucket of ice water over the head. I conclude that because of the preeminent importance attached to "leadership commitment to safety" in the various NSC literature. If so important then discovery by OD researchers of strong positive correlation of leadership action, enterprise culture, and group or institutional performance would seem an important source of confidence when embarking on efforts to confirm or strengthen NSC. This paper demonstrates - to me at least - that such a correlation cannot be demonstrated to exist by reference to "traits" as the OD enterprise uses that term. This is not to say that executive action does not strongly influence enterprise outcomes and, over time, the collective temperament of the institution. Rather it is to say that no amount of elaboration of traits appears to indicate HOW such influence is exercised. Nor does trait binning indicate HOW the fit, between an executives temperament, and the organization's needs at any given time in its life cycle, come to be in, or out, of synch. As a specific piece of research this paper unfolds as one big long tautology. Throughout an extensive literature review the citation of findings of weak correlation or inconclusive results appear over and over again. Despite all these findings of "no correlation" found (i.e. the cited research supports the null hypothesis for that study) these authors persist in a belief that such correlation must exist. Ultimately they propose hypotheses that are about the character of their trait listings, not about the character of executive or enterprise performance. They appear not to recognize this fact. Kahneman describes the "availability heuristic" as the process of judging frequency (i.e. here of correlation) by the ease with which instances come to mind. This entire paper seems to be an example of applying that heuristic to what remains very weak statistical evidence and then insisting that correlations must exist because "intuitively" is seems they do. Lew suggested: "this paper is not a great fit with the nuclear industry." That may be, but it is an exceptionally tight fit with the nuclear regulatory/oversight "industry" and its growing attachment to "expectations of traits development" that will be predictive of high levels of safety performance and/or resilience. In each instance we have an example of what happens when the function of a trait - which is to "label" a cluster of recurring observations about some system - is imagined to explain anything about the mechanism in the system which gives rise to the observables. I happen to fit in the human physiology bin "left-handed" - handedness is a common trait bin. To point out I'm left-handed can be useful in subsequent discussion of mechanisms, but by itself it reveals nothing about HOW or WHY such mechanism comes to exist, what function it serves, etc. "Left-handed" is not the function, it is the label for a suite of functions. In contrast, the meme "enterprise executive" applies to a suite of functions - a role (functional node) in the governance structure of the enterprise. Organizations are typically observed to have either leaders or senior managers in the executive role. To a first (and second) order approximation, leaders take organizations where they are reluctant to go (change agents); senior managers keep organizations on the broadly agreed-upon track (caretaker/maintainers). Reference to culture suggests some measures of enterprise inertia, ballast, or righting-moment - it is by all appearances multidimensional; executives work to align enterprise mission, capability, and culture toward effective performance. On the preponderance of results reported in this paper, any effort to subdivide culture to singular functions (i.e. positive nuclear safety propensities), and by way of labels (i.e traits) rather than by illuminating mental models of governance mechanisms doesn't appear to be a sustainable hypothesis. (I'd say the results falsify the hypotheses as being useful for performance improvement purposes). I suggest this paper demonstrates the importance, for performance assurance purposes, of starting with the characteristics of the work, not the individual or collective traits of the people currently doing that work. One Integrated Safety Management Guiding Principle seems relevant here: Assure competence commensurate with responsibility. Take the example of an aircraft carrier at the different stages of its 24-30 month deployment cycle (refit, functional work up, pre-deployment integrated operations, and deployment). The relative importance of CEO's competence in leadership and caretaker management vary in each of these segments of the cycle. Nominally, the closer to deployment, the more the leadership role comes into prominence. However, the ship and crew can arrive at a "troubled" state during any one of these stages and for a variety of reasons from the highly technical to the primarily social. With the emergence of significant trouble (e.g. a major flight deck accident with exploding ordinance during the pre-deployment stage has occurred on multiple occasions) the action mode of the CEO must shift promptly or lives and perhaps the ship itself can have survival jeopardized. Talk of traits is meaningless at this point. Every organization has different culture and environment. Similarly, every organization has different leaders. leader is person who adjust with the culture of an organization and according to it make plan for work, take decisions, keeps natural behavior with employee and try to understand their capability.